This week the sun came out in full force, warming up cloudy Bellingham to 70 degrees! All this sunshine certainly inspired new projects and recipes, including a delicious twist on kale salad. Using roasting chickpeas instead of croutons, the Roasted Chickpea and Kale Cucumber Salad is the perfect lunch on a hot day. 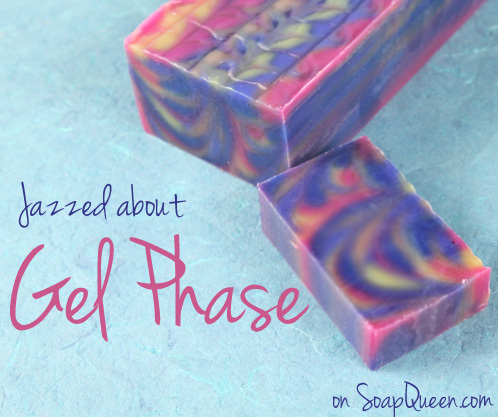 Speaking of heat, the Jazzed about Gel Phase post is full of information regarding what happens when your soap heats up. Gel phase has great benefits, particularly when you gel with LabColors. If you’d like more information on LabColors, this post will get you up to speed. Does soapy inspiration ever strike while you are away from your computer and enjoying the sun? The newly updated Soap App for Androids makes it easy to collect and formulate cold process recipes. You could even use it to formulate recipes for the Make it Monday Challenge! 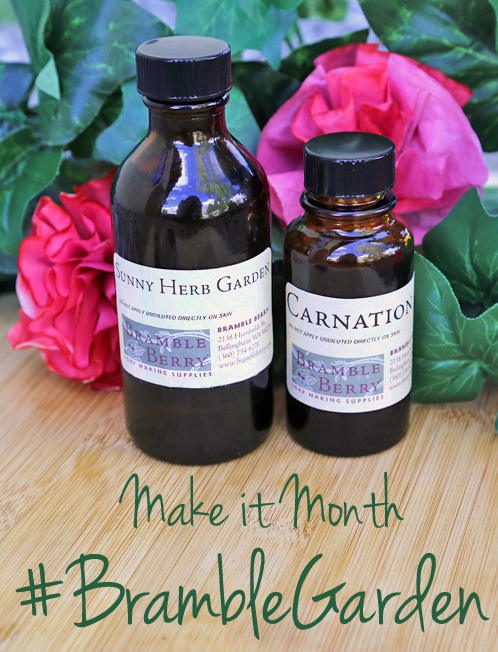 Simply share your project using the Carnation Fragrance Oil, or the Sunny Herb Garden Fragrance Oil with the hash tag #BBGarden for a chance to be featured on the blog. Projects can be shared on the Bramble Berry Facebook page, Twitter or on Instagram until May 30th. The Facebook Photo of the Week was inspired by all this talk of hot summer days days and impending summer vacations. Called “Birds of Paradise,” it’s a bright colored soap reminiscent of exotic beaches. This soap was made by Lynn Young-Turner of Lather and Luster. The subtle hints of color make this soap pop without muddling with each other, and Lynn says it’s scented with a mix of light florals, tangy citrus and an heraceous finish. If you’d like to achieve a similar effect of subtle swirly color in your soap, try adding mica lines. 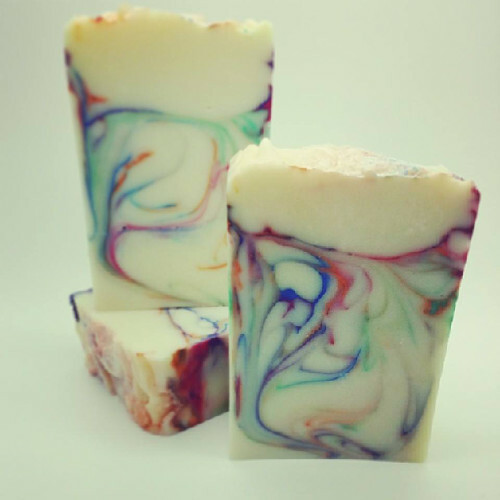 Check out the Elemental Swirl, Striped Berry Champagne or Bramble Beer Soap to learn how. 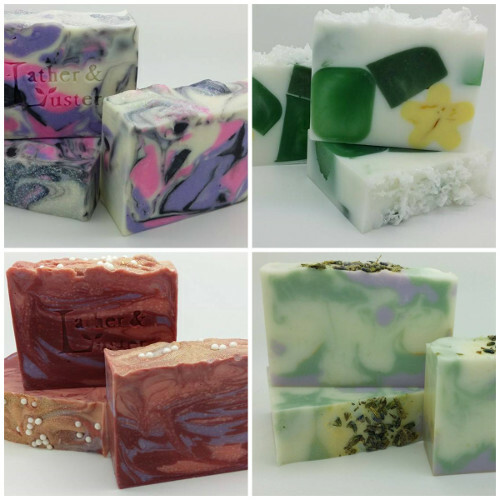 Many of Lather And Luster’s soaps feature 2 – 3 strong primary colors and beautiful swirly designs. Shown above, from top left (clockwise) is Spellbound soap, Yuzu Fantasy soap made with coconut milk, Irish Mist soap and Seduction soap. Post pictures of your crafty creations on our Facebook page each week for a chance to be featured on the Soap Queen blog and receive a sweet soapy package from Bramble Berry. Photos are chosen based on consensus from the Bramble Berry staff, so the best way to increase your chances of winning is to show us lots of photos! We’re talkin’ all that jazz! Thanks everyone! We are very honored to be in the company of Bramble Berry’s photo pics! We are so happy to be able to feature your beautiful soap :). Can’t wait to see what you make next! I love Lynn’s soaps and products! They all smell so lovely and feel so good. I admire her soaps. She is a new soapy friend of mine and is very kind and helpful. I am so happy she got her beautiful soap here for people to see! Awesome Lynn! I love, love, love those delicate rainbow swirls. Beautiful soap! I just loved that soap! The thin lines of color are so gorgeous! Great job!